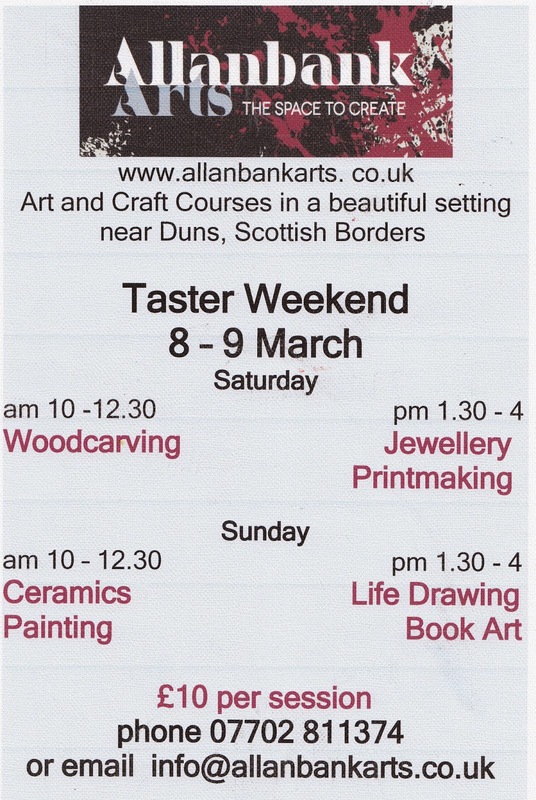 Allanbank Arts are running a weekend of taster sessions offering you the opportunity to try out one of the skills in advance of more detailed courses. I'll be teaching an introduction to jewellery making on Saturday 8th March from 1.30 to 4pm when we'll be learning to turn a loop in wire and how to use this technique to create chain, earrings, necklaces or bracelets. The address for directions is Allanbank Arts, Allanbank Courtyard, Allanton, Duns, TD11 3PY.